When you join the military, you quickly learn all of the pays, benefits, and allowances you receive each month. From Tricare medical and dental services to Basic Allowance for Subsistence (BAS) and Basic Allowance for Housing, these allowances and benefits are part of the investment the military makes in its service members each month of your active duty or reserve status. Basic Allowance for Housing (BHA) is the cost of living amount of money a member in the military National Guard or Reservists in all branches of service receive as an allowance for housing if living off-base. Regardless of rent or mortgage payment, the BHA payment each month typically covers a military member's reasonably priced monthly payment. There may be some out of pocket amount a member must pay depending upon his or her situation. The difference between pay and allowance is that the allowance is not taxed. Members of the National Guard and United States Military Reserves do not receive a housing allowance when performing weekend drill duty. Guard and Reserve members on active duty for less than 30 continuous days receive a different type of housing allowance than active duty members. This type of housing allowance is known as Basic Allowance for Housing, Type II, and pays less, on average than Basic Allowance for Housing (BAH) Type I, which is based upon a member's rank, dependency status and location of assignment. BAH Type II, on the other hand, is not dependent upon the location of assignment. It is the same regardless of where the National Guard/Reserve member is stationed. It does differ based on the rank of the military member. This is a change from 2005. In 2005 and before, a Guard or Reserve member had to be on continuous active duty for 140 days or more before they were entitled to BAH Type I. As part of the 2017 Military Authorization Act, Congress changed the 140-day requirement to 30 days. National Guard and Reserve military personnel who are on active duty for 30 days or longer receive BAH Type I, the same housing allowance received by active duty members. "Partial Rate" BAH is payable to members without dependents who are living in government quarters (barracks), who do not receive any other type of BAH. Non-locality BAH is BAH-II (RC/T) is the housing allowance for Reserve/National Guard members on active duty less than 30 days. It also applies when a member is in transit from selected areas where no prior BAH rate existed. BAH-II is a set payment allowance that varies by rank but does not vary by geographic location. 2017 Basic Allowance for Housing rates were approved and took effect January 1, 2017. Military life is stressful and housing can be a challenging aspect of it, especially if you are living in barracks or on a ship. Finding adequate living arrangements off base can be equally challenging, though. The amounts in the chart above are meant to help ease the financial burden of finding and paying for housing while serving your country. BAH is part of the military’s promise to offer you “three hots and a cot,” which is room and board for your service. BAH was designed to ensure that adequate and affordable housing is available for soldiers and military families. If there are no barracks or ship in which to reside, military members will receive full BAH in order to cover rent and other cost-of-living expenses. If you are lucky enough to live on base housing, BAH is not needed or provided. Consider it part of your compensation package for being in the military. Typically, if you are married and housing on the base is not offered or available, a tax-free monthly housing allowance will be provided. 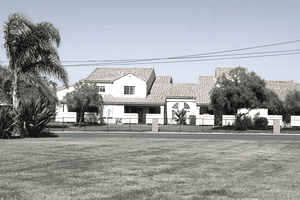 On INCONUS military bases, you can opt to live in a house off-base if you prefer. Another bonus perk is the military pays for all moving expenses if you are moving to a new duty station. BAH-II does change annually, typically, and has increased as well as decreased as it is determined by the percentage growth of housing costs. When there is a dip in the housing market, BAH will also be reduced. Is it Better to Live in Military Family Housing or Off-Base? How Is Overseas Housing Allowance in the Military Calculated? U.S. Military FAQ - How Much Housing Allowance? Military Pay and Benefits: What is Family Separation Allowance?